Al Nahr Al Seeni Building Materials LLC pays full attention to sustainability and respect for the environment. From the use of our raw materials, which we source exclusively from suppliers who practice responsible environmental policies and our production facilities and continues right through to our finished products and distribution. The future of our industry depends on the safety of the environment and natural resources. 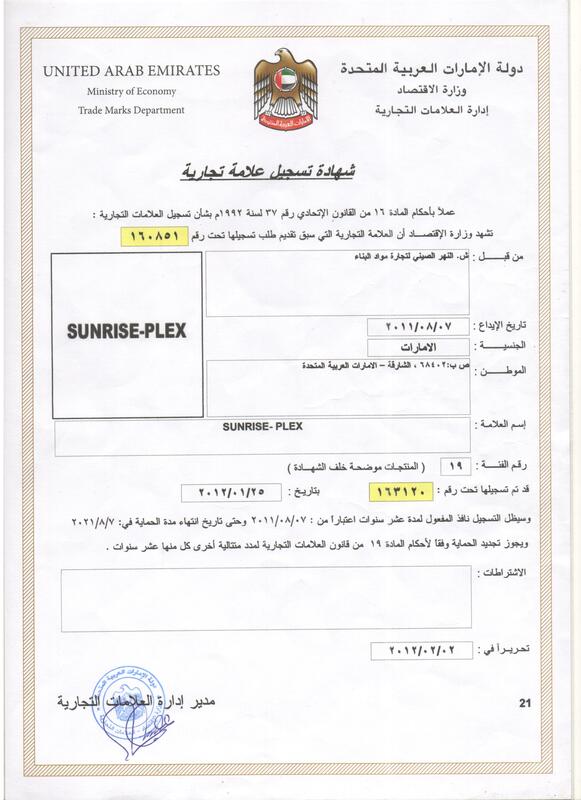 Environment is absolutely central to the way we at Sunrise Plex do business, influencing every part of our operations. The FSC (Forest Stewardship Council®) is an international non-governmental organisation, founded by a group of environmental associations, indigenous communities and forest owners, with the common aim of improving forestry management by practicing environmentally compatible and socially and economically sustainable policies. 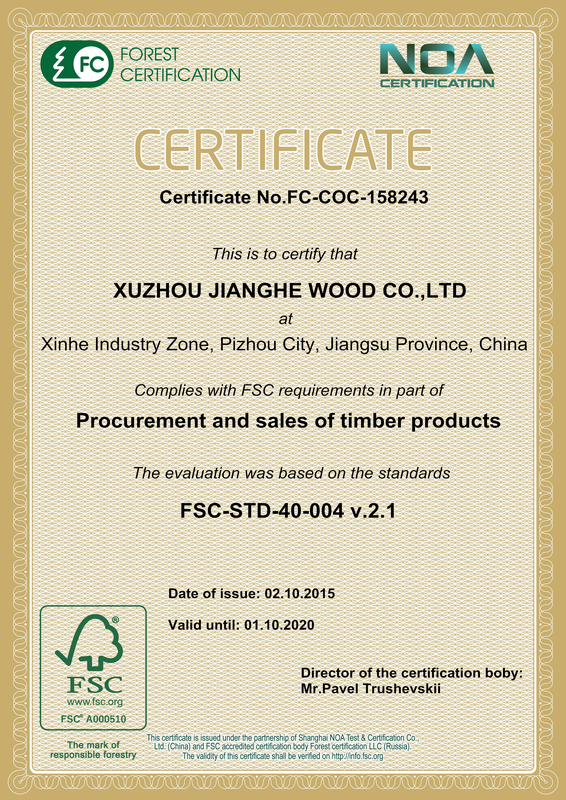 Xuzhou Jianghe Wood Co. Ltd at Xinhe Industy Zone, Pizhou City, Province, China, has dedicated many years to expanding its range of plywood bearing the FSC® Chain of Custody certification and now offers its products which are FSC® certified.